CompanionLink for webOS USB is software that does a direct two-way USB sync between Outlook and Palm Pixi. Contacts, calendar, tasks, and notes sync to the Pixi and can be edited on either the PC or on the phone. CompanionLink features a Palm webOS app called CL USB Sync™ that can be downloaded to the phone for free from the Palm App Catalog. 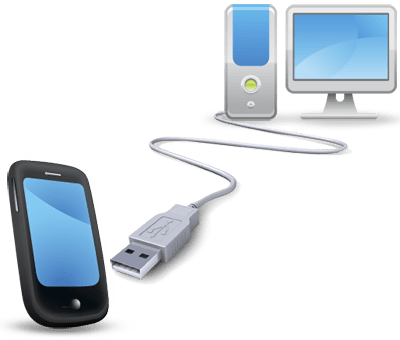 This app works with CompanionLink for webOS USB to synchronize PC contacts and calendar to the phone’s webOS contacts and calendar applications. The CL USB Sync app also includes unique tasks and memos apps with categories and sort lists that work like the PC versions of the same applications. More info about Outlook USB sync with Palm Pixi. 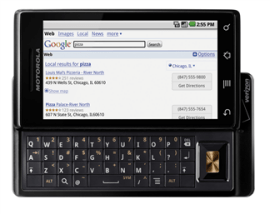 CompanionLink is working on a direct USB sync for the new Motorola Droid. This will let users securely sync data by docking their Droid to their PC with the USB cable that came with their phone. Currently, users of desktop software like Outlook, Lotus Notes, GroupWise and ACT! are required to use a wireless sync protocol. For example, data syncs from their PC to their Google account, which then natively syncs with the Droid. CompanionLink for Google provides this functionality between PC and Google. While this serves the needs of many customers, this can pose security concerns for people who don’t want to host their sensitive data on Google or have it transmitted wirelessly. CompanionLink is looking to address that with a direct USB sync solution. Click here to sign up to receive an email announcement when direct USB sync between PC and Droid is available. Smartphone vendors shipped a record number of units in Q3/2009, up nearly 5% from the previous year. Nokia led the pack, followed closely by RIM (BlackBerry) and Apple. Worldwide demand for smartphones is expected to continue as the economy gets better. Sales for smartphones is expected to continue to outpace sales of regular phones (without browsing, email, and social media functionality). Read the full report on CNET. PreCentral.net – the famous Palm Pre portal – has partnered with CompanionLink to giveaway five licenses of CompanionLink for webOS USB along with RunStart service (nearly a $400 value). PreCentral has reviewed CompanionLink and is conducting a poll on their forum. To enter the giveaway, users are required to answer the poll. Survey ends November 6 at noon Eastern. The Droid is arriving on Verizon’s network on November 6, 2009. This will be the first phone running the Google Android 2.0 operating system. This device is much anticipated if for no other reason than their viral video that directly poked fun at the iPhone. What features will the Droid include? Navigation-related features seem to be big for the Droid. Here’s a full overview. With Exchange support, you don’t need any other software to sync your Exchange data to your phone. If you use Outlook without an Exchange server, you will need CompanionLink to sync your Outlook contacts and calendar to your Google account, which then automatically syncs with the Droid’s address book and calendar. 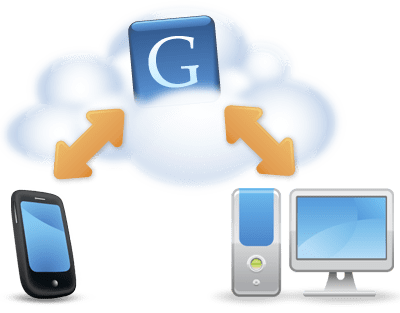 If you’re using any other contact managers like ACT!, GoldMine, Lotus Notes, GroupWise, or Palm Desktop, you can use CompanionLink to sync them with your Google account as well. CompanionLink is also working on a way to do a direct USB sync between your PC and the Droid.